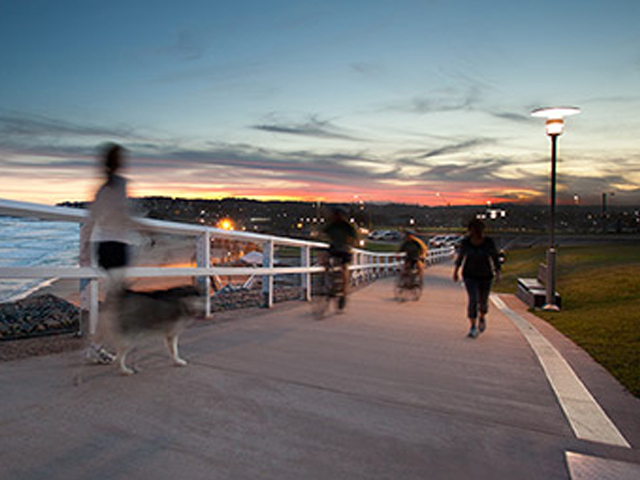 Following 6km along the Newcastle coastline, Bathers Way is an all-access path that is a major component of a multi-million-dollar revitalisation project. With a high level of pedestrian traffic, the path required a durable long term drain system, and ACO provided the perfect solution. 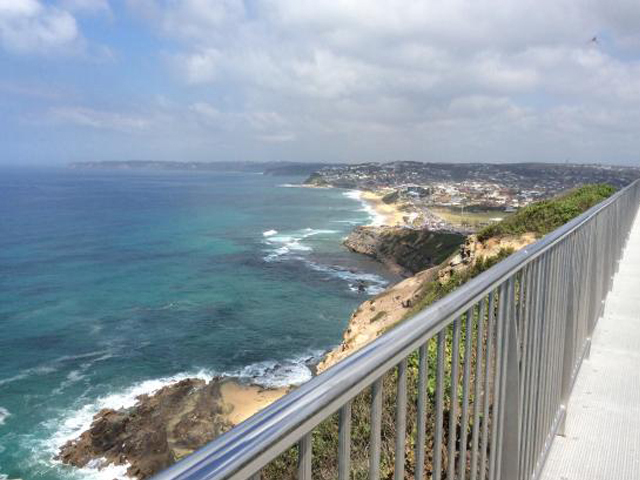 Bathers Way, stretching from the Merewether Ocean Baths up to Nobbys Beach, provides access to all beaches along the coastal walk and includes public space areas and platforms that offer spectacular views and picnic spaces. Due to the high level of pedestrian traffic, ACO provided a durable trench drain system that would withstand the bustle and provide a safe surface for all modes of transportation – from running, walking, cycling, skating and wheelchairs. 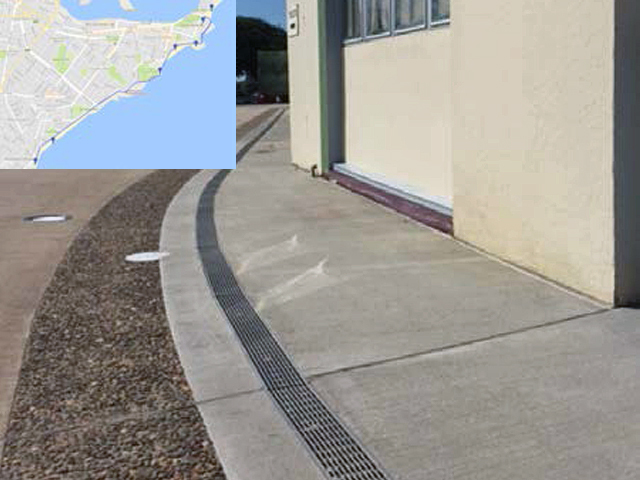 The drains were installed at strategic nodes that would provide the best protection from stormwater damage, bearing in mind the surrounding historic seaside buildings. 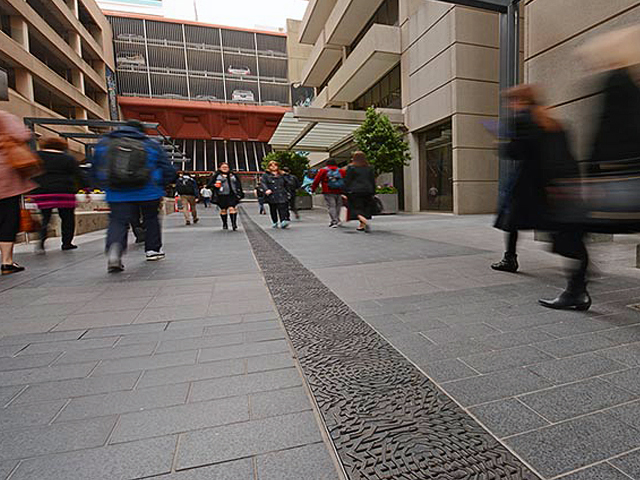 ACO used the KlassikDrain KS100 with Stainless 5-Star Heelsafe® Anti-Slip grates, which provide a sturdy and effective drainage system that is built to withstand all levels of traffic. The stainless steel edge rails and grates provide long term stability and durability and can withstand the harsh coastal weather and salt-water conditions. 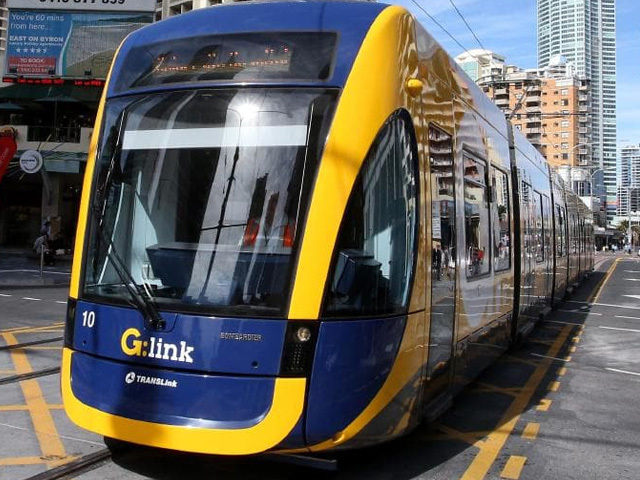 In addition, the grates comply to AS 4586 and AS 3996 pedestrian safety and load requirements, ensuring that safety is paramount at all times. ACO’s Heelsafe® Anti-Slip grates are available in a range of materials to suit every application, including stainless steel, ductile iron and plastic. Raised mechanical nodes ensure tread durability and prevent high heels from being caught in the grate. To guarantee the grates are devoid of any bypass, ACO’s Technical Services Department provided the designers with site-specific hydraulic data. 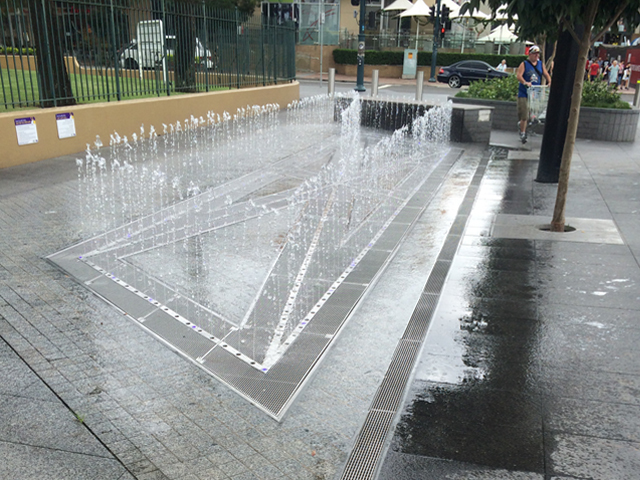 The team at ACO are dedicated to providing the most effective drainage for public spaces and ensuring that safety is at the forefront of the company’s designs. Careful note is taken of floor finish and installed grate compatibility, in order to avoid safety hazards and ensure the drains comply with Australian slip resistance ratings. To measure the slip resistance of both drains and floor surfaces, three tests are implemented. The first is the “wet pendulum test”, which is applied to stormwater grates that are exposed to rainfall; the second is the “wet-barefoot inclining platform test”, used to assess areas that are prone to water where shoes are rarely worn , such as beaches, pools and water parks; the third test is the “oil wet inclining platform test”, and is aimed at commercial and industrial areas that can become covered in oil and grease, such as kitchens and fuel stations. 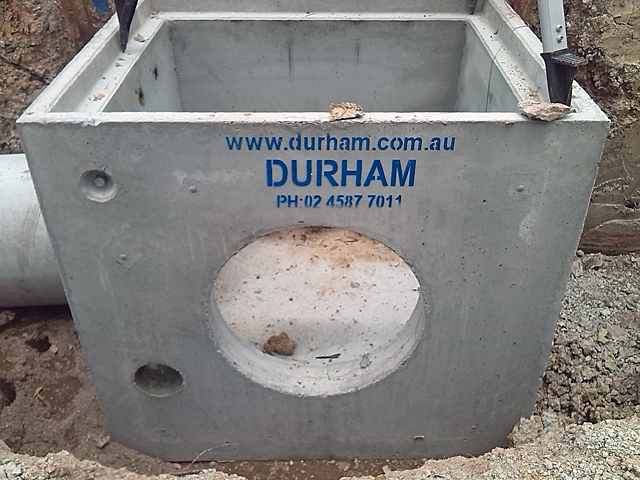 These tests are used to determine slip resistance ratings and ensure drains comply with the highest safety standards. ACO understands the importance of providing results that comform to these tests in order to determine the correct drain to be used in the space; if the grate does not share the same slip resistance level as the surface it is being installed on, then hazards can appear. The company ensures that the main objective of installing drainage is at the forefront of every project: providing paramount safety and exceptional surface drainage solutions. This therefore ensures that each commercial grate complies with the AS 4586 legislative requirements for slip resistance. 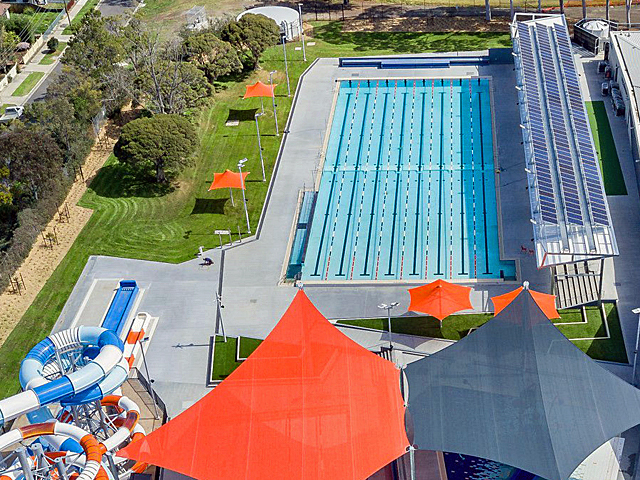 Thanks to ACO’s dedication to supplying the perfect drainage system for the space, Bathers Way is assured to provide a safe, slip resistant walkway that will provide public entertainment for years to come. OAK PARK MAKES A SPLASH!